A couple of weeks back, Ernest Hilbert wrote to Poetry & Popular Culture about his Memorial Day encounter with Chocolove, the Colorado- based chocolatier that wraps nearly every scrumptious bar it makes in a poem. The P&PC office recently caught up with Whitney—Chocolove graphic designer, public relations specialist, and all-purpose company spokesperson—who was more than willing to chat about the company's, um, taste in poetry. Here, in an exclusive one-on-one, Whitney gives P&PC readers something to chew on. Poetry & Popular Culture: So, why did Chocolove start printing poems on the inside of its chocolate bar wrappers? 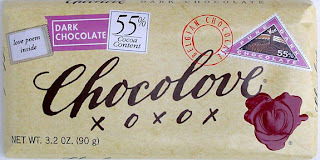 Whitney from Chocolove: It was the idea of Timothy Moley, Chocolove's owner, who thought poetry would complete the Chocolove package concept, which is inspired by love letters. Since 1994, we've printed over 350 poems and poem excerpts on tens of millions of wrappers. W: Yes, I saw that coming. 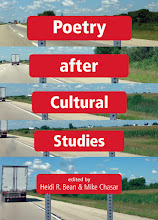 P&PC: How do you select the poems? W: We choose poems based on a few criteria. They must be in the public domain, must be about love and romance, and the poem—or at least an understandable portion of it—must fit on the wrapper. The regular-size bar wrappers can contain a sizable poem, but due to the small size of the mini-bar wrapper, the poetic inclusion is limited to a few lines. Most of the poems we've used were originally written in English between the 1600s and early 1900s. We strive to select poems that are uplifting and also understandable, and we hope that people who eat Chocolove will read our poems to their friends after dinner, read 'em to someone they love, put 'em on the refrigerator, or use 'em as bookmarks to provide inspiration time and time again. 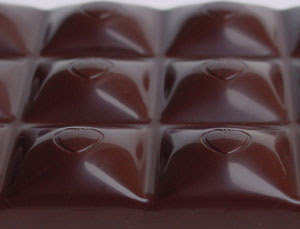 P&PC: Is there a Chocolove Editorial Board or Poem Selection Committee? W: No, there isn't. We're a very small company with six employees in the office. The poems are selected by one person—the owner—and are a reflection of his personal taste. He pairs poems with flavors that he feels represent the poem's essence. P&PC: Do you ever feel left out of that process? W: I'm not a huge poetry person, so no. If I had my own company, I wouldn't be asking for too many opinions either. He's the man, so to speak, and I trust his good judgment. 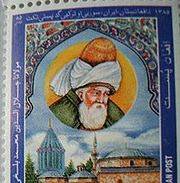 I did slip in a Rumi poem that I love one time, though I've yet to see if I got that one by him! P&PC: I thought you said you weren't a big poetry person! How did you come across this? W: I told a really great English teacher that I had in high school that I just didn't dig poetry, and he said "fair enough, but I think you'll like Rumi." P&PC: So, was Moley an English major, or what? W: No, just a poetry fan. P&PC: On the Chocolove web site, it says you don't accept submissions of original poetry because of copyright issues. Have people really sent poems to you? W: We get a ton of submissions, many of them very good. However, as unromantic as it may seem, we simply can't publish them due to copyright laws. I think a lot of people don't realize what a small company we are, and dealing with something like copyright infringement would be a major blow to us and take away from our focus, which is on making the finest, most reasonably priced premium chocolate available. We have faith that the plethora of poetry journals out there will do an excellent job of publishing talented poets. P&PC: I have a neat love poem that would be perfect for Chocolove. Are you sure you couldn't make an exception—just this once? P&PC: Um, no offense, but why do I get to talk to you and not the owner? W: Our owner is incredibly busy. At the moment, he's creating several new bars and running an every-growing company. P&PC: Yum. What's your favorite Chocolove poem? W: I like all of the Shakespeare poems that we publish. P&PC: Parting is such sweet sorrow? W: Yes, something like that.